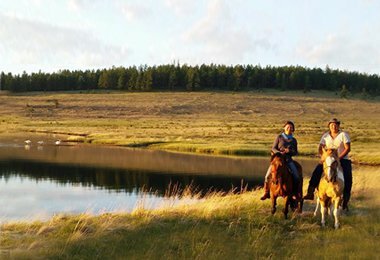 Mongolia is a riding Shangri-la – wild landscapes & endless horizons stretch before the hooves of your trusty steed in this sparsely populated nomadic land without boundaries. 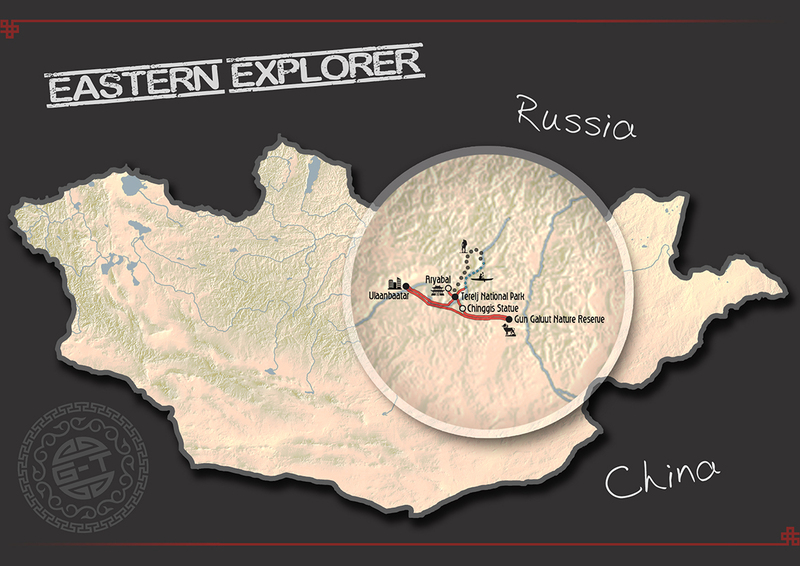 Discover for yourself on one of our comprehensively researched and expertly crafted Mongolia horse treks. 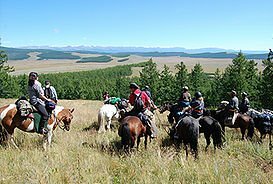 Our Mongolia horse treks explore spectacular and diverse scenery – classic routes combine with hidden trails through remote wilderness terrain. 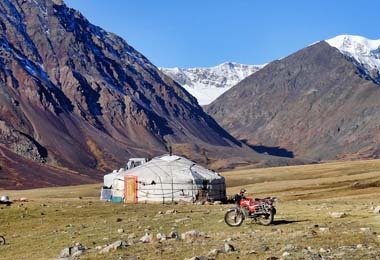 Some trips are short, some longer, some are full-on riding trips, whilst some combine a bit of horse riding within a cultural overland journey. 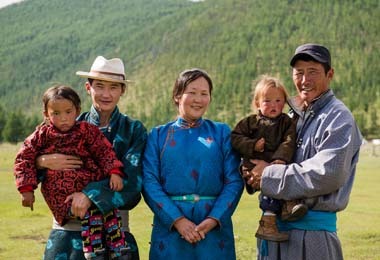 Mongolian horses are of a stocky build, with relatively short but strong legs and a large head. They range in size from 12 to 14 hands high. Despite their small size, they are horses, not ponies! Mongolian horses have great stamina, although they have smaller body they can gallop for 10 km without break. The hooves are very robust, and very few animals are fitted with horseshoes. 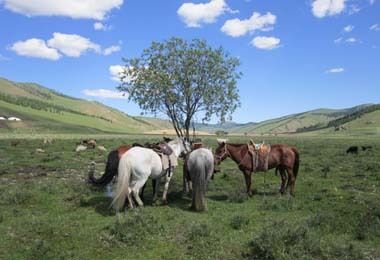 On our Mongolia horse treks we source horses and wranglers from local nomadic herdsmen – selected carefully by us to ensure the quality and range of horses available (size, stamina, speed, temperament), and the skill of the wranglers in every aspect (horsemanship, knowledge of the area, animal welfare, client care/instruction, professionalism & enthusiasm). The saddles are equipped with adjustable strirrup straps with protective covering providing comfort for rider and animal; wide girth straps; and local stylised stirrups that add character but also safety with their wide step. 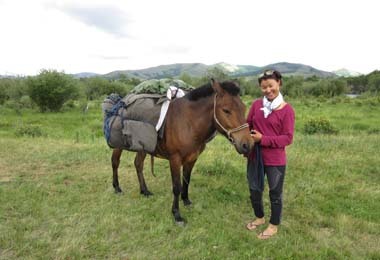 Underneath the saddle are locally-made felt saddle pads providing support and comfort.Many of our Mongolia horse treks do not have vehicle support, due to the remote expeditionary nature of our riding trips, so we provide pack horses which carry equipment and provisions. There is usually 1 pack horse for every 2 guest riders. Robust saddle bags are provided, plus extra waterproof duffle-style bags are provided within to ensure certain things – rest mats, sleeping bags – remain dry under all circumstances. Plastic sheeting is also available to cover packhorses whilst on the move and to shelter saddles and equipment at camp in times of inclement weather. 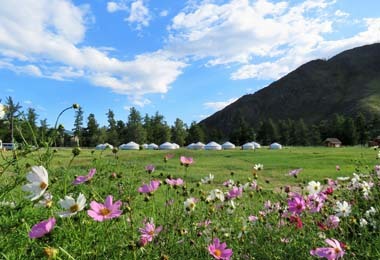 We provide high-quality tents & rest mats, plus a dining tent when horse riding in Mongolia. 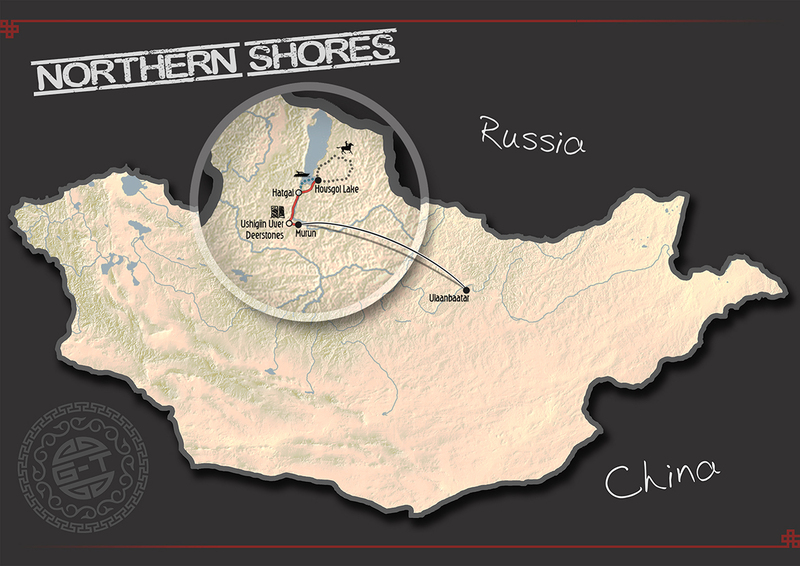 A cook accompanies all trips, who dishes up 3 top quality hearty meals a day. A typical breakfast may include pancakes, porridge, bacon, bread & jam, juice, and tea and coffee. Lunches are packed and may include a sandwich, salad, cold noodle or rice dish, plus fruit, snacks and chocolate. Dinner is often a hearty meaty/noodle broth, a stew, stir-fry, barbecue or similar. 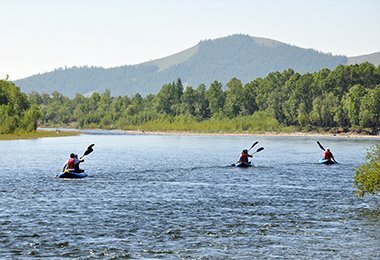 Drinking water is provided by using a Katadyn water filter and/or boiling water from nearby fresh water streams, rivers and/or lakes. Sleeping bags are not provided, but can be hired for a small extra charge (including fresh linen liners). 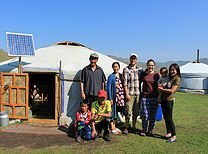 On any Mongolia horse trek where mobile communication and vehicle access is compromised, we provide a satellite phone for use in emergencies. Your guide will carry this and will be fully briefed on its usage. We also provide topographic maps of the area for reference and review purposes, and there may also be a GPS handset as well. For medical emergencies that do not require evacuation, we provide a fully-equipped Life Systems First Aid kit suitable to the trip type and group size. Conveniently located 60-100km from Ulaanbaatar (depending on start point), the lesser-visited areas of Terelj - and beyond to the more remote hills of Khan Khentii - offer a conveniently accessible wilderness escape for anything from 2 days to 2 weeks. 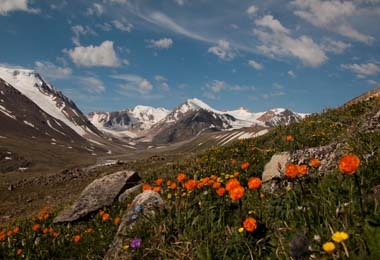 Explore the trails of Terelj and Khan-Khentii on foot – this wilderness trek combines stunning countryside with ease of accessibility from Ulaanbaatar. After crossing the Terelj River, head up the wide Tuul Valley, dotted with nomadic families, dog-leg to the hilltop Gunjin Temple, and then on towards Altan Ulgii Mountain, before reaching the sacred Black Lake. 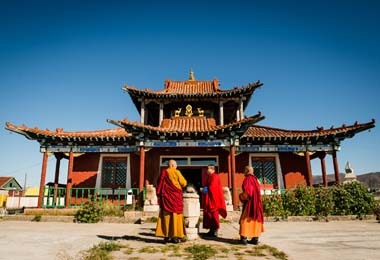 Return on the east side of the Tuul River and visit the remarkable Chinggis Statue at Erdene and relax at Gun Galuut Nature Reserve before heading back to UB. 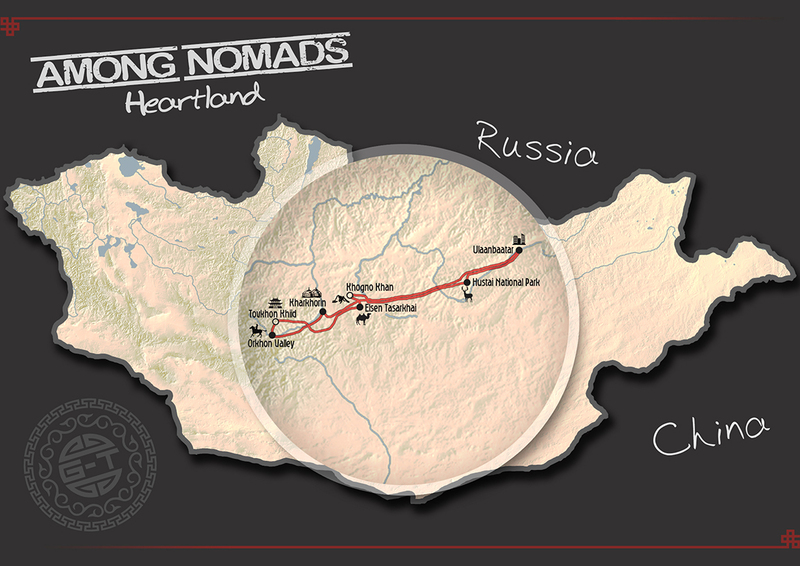 The nomadic heartland of Mongolia, with a range of classic routes and lesser-known trails through steppe, desert, hills, meadows, rivers and lakes. 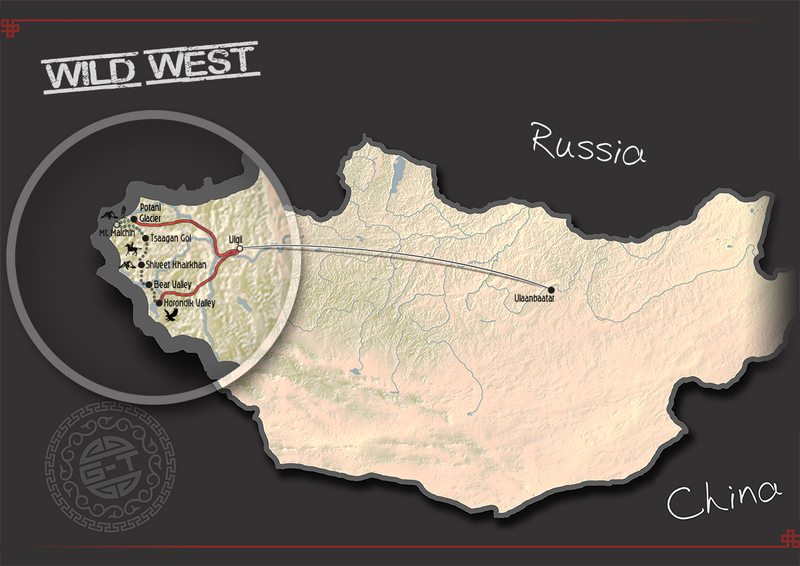 Ideal for longer treks to combine with overland cultural highlights by jeep on the 2 day outward and return journey to/from Ulaanbaatar. 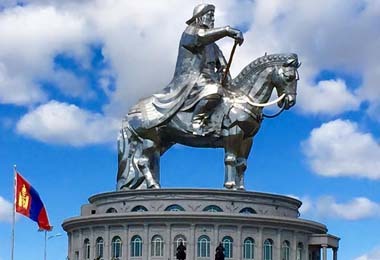 A foray into the nomadic heartland of Mongolia – from steppe and desert to lush rolling hills, meadows, rivers and lakes. 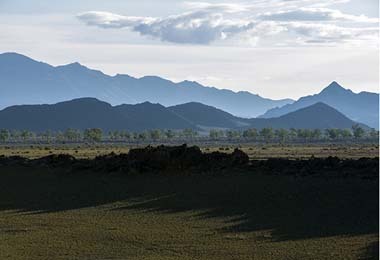 Visit Khustai National Park to see the takhi horses, the dunes at Bayangobi before heading for White Lake via the hot springs at Tsenkher. 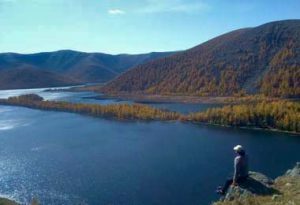 Return through the remote southern Khangai hills including Shargaljuut Springs, Naiman Nuur (8 Lakes), Tovkhon Monastery plus Kharkhorin. 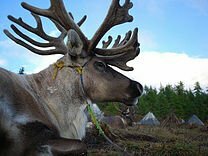 A remote adventure to the Siberian taiga near the border with Russia, home to the last few remaining families of teepee-dwelling reindeer herders – the Tsaatan. 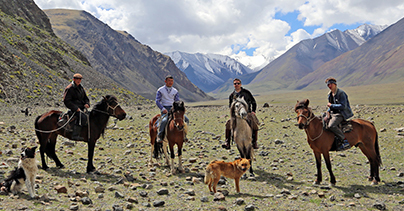 Ride on horseback to visit their camps and explore the pristine nature of their wild surroundings. 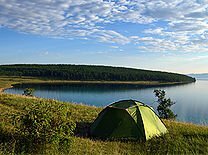 This wilderness expedition culminates with a 3 day stay on the shores of Lake Khovsgol at a secluded eco-camp on the East side of the lake. 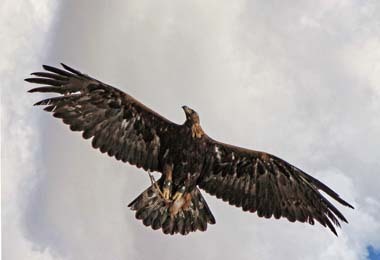 Mongolia’s western provinces boasts the snow-capped peaks of the Altai Mountains, and is infused with rich cultural diversity including the famed Kazakh eagle hunters and khoomi (throat singing). 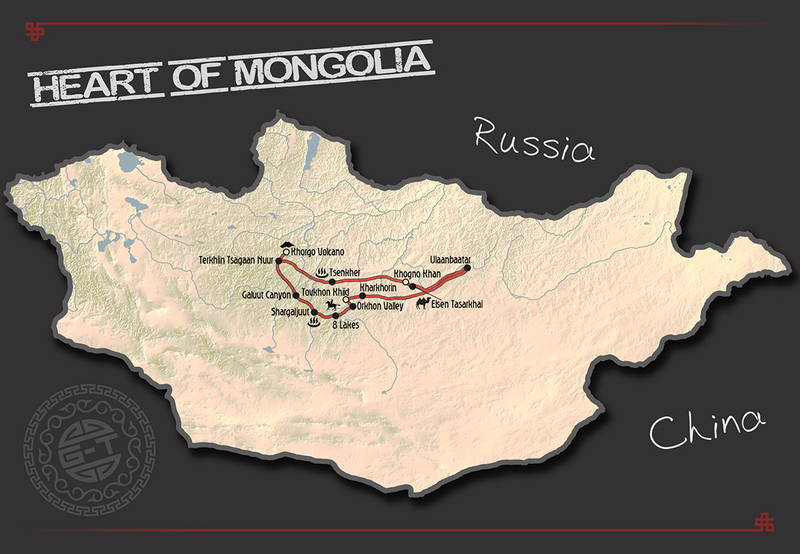 If Mongolia seems remote in itself, how about a 3 hour internal flight, followed by a scenery-packed 8 hour drive – just to get to your Mongolia horse trek start point. Now that is adventure! 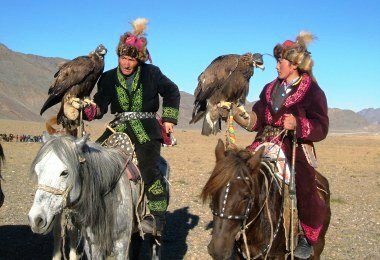 A unique opportunity to stay alongside eagle hunters in Western Mongolia in the Turgen valley near Sagsai – ride with them, learn how they train their birds, and experience the way of life of these Kazakh nomads. You will also have an opportunity to meet a local shaman.